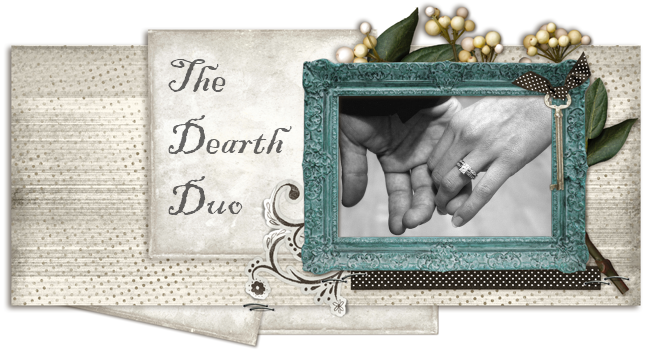 *THE DEARTH DUO*: 80's Christmas Party: "Let's ROCK the Nog!" 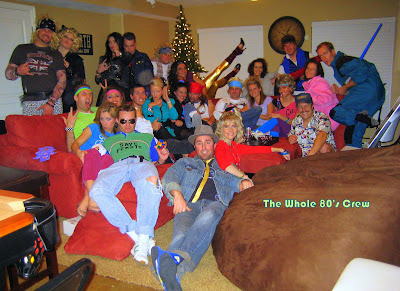 80's Christmas Party: "Let's ROCK the Nog!" 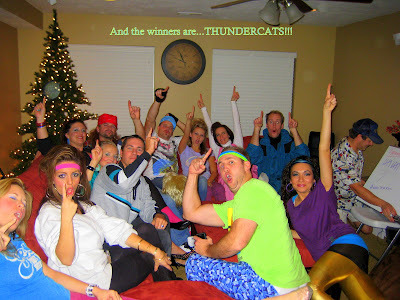 Our third annual Christmas party was a SUCCESS!!! 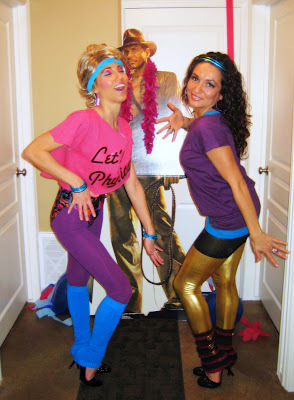 I had no idea how much people loved the 80's, it was great! A BIG thanks go out to everyone who came and participated in dressing up and bringing food! 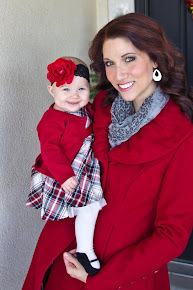 Thank you Angie for all your help in decorating, food, and getting me ready so I looked like Olivia's twin! (I wish!) 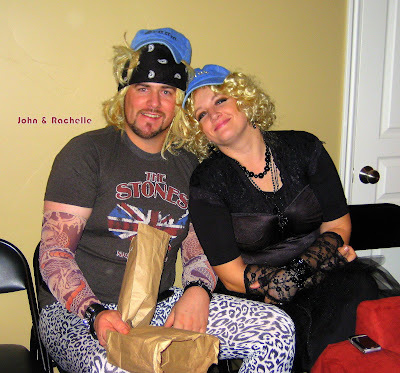 And hey, great outfits John and Rachelle, let's see if you can win Best Dressed Couple again next Chrismtas! 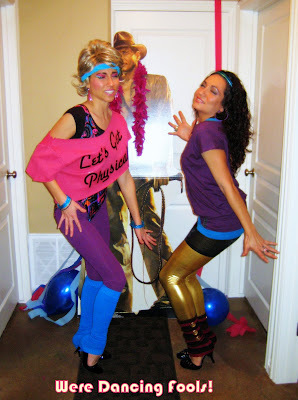 I had SOOOOOO much fun living it up in the 80's for a night and I hope all who came to the party did to! Thanks everyone! P.S. 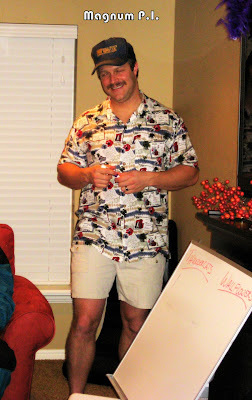 I'd love to hear some of your favorite moments from the party, it would be like an early Christmas gift! Such a great party! Thanks for the invite. We had alot of fun. Too bad we have to wait a whole year for another one! The pics were great. Mindys legs look so funny in the group shot! Too fun! 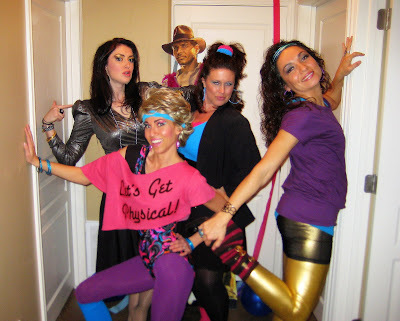 I WISH I looked that awesome in leggins and leg warmers..shout out to the HOT set of legs on you ladies! oh my gosh! Im dieing laughing! thats awesome! 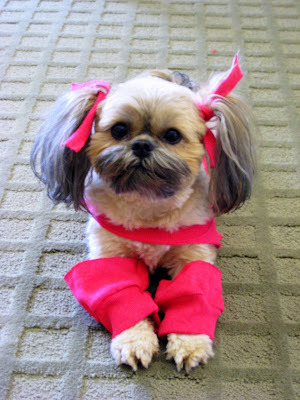 I want the dog! Hope you and your man have a great new year!